Among the various skills that Fred has that I lack is the ability to be far more organized about keeping stuff. He's been reading the blog and this morning I woke up to an email from him that included several files of some of the things I've been talking about. 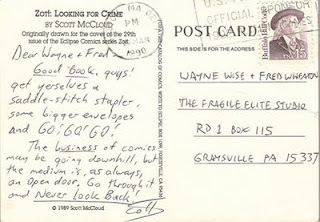 This is the front of one of the postcards we received from Matt Wagner. And this is the back (that address isn't good anymore, by the way). 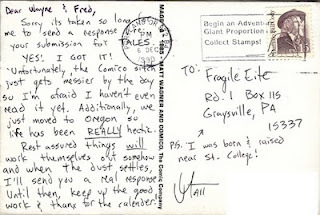 This was obviously after he had asked us to submit a Grendel Tales proposal. This was the beginning of a long copyright dispute for Matt (he eventually won and got his rights back). 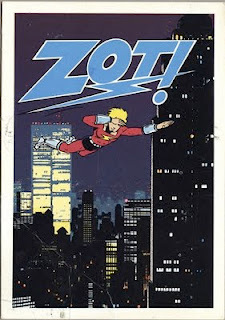 I talked with him about the whole thing at a con years later. He really liked our stuff. 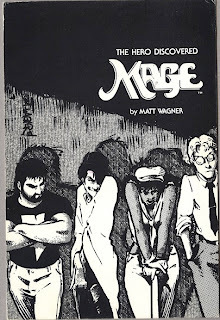 In 1993 or'94, when I was shopping my inking samples around I met Bob Schreck, then editor at Dark Horse Comics (and Matt's brother-in-law). I had all of our Grendel sample pages with me. Bob recognized all of them. "Hey, I saw these in Matt's living room a couple of years ago!" 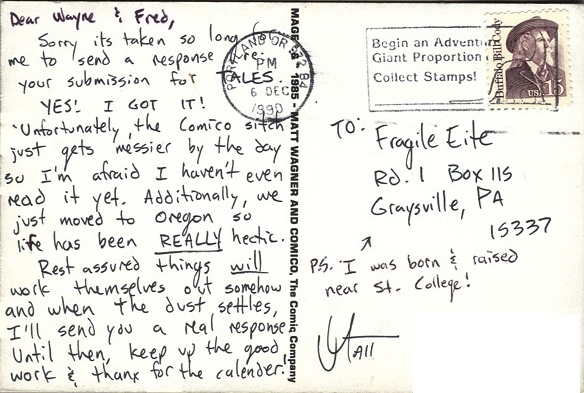 This is the front of a postcard from Scott McCloud. I know we received several pieces of correspondence from him. And this is the back (this address doesn't exist anymore either). 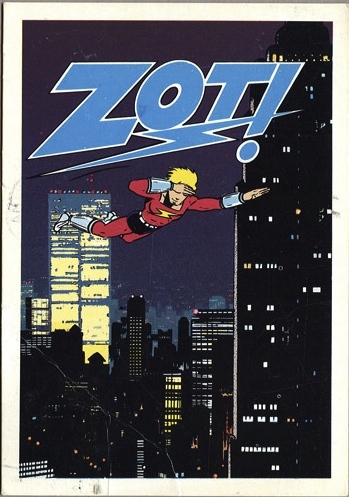 My next written blog has a Scott McCloud anecdote. 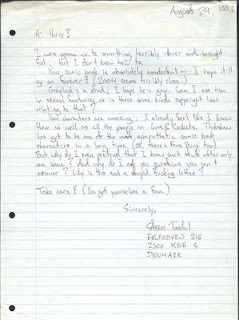 This is the fan letter from Denmark I mentioned. This guy didn't order a copy of the mini-comic directly from us, so I have no idea how he ever saw out book. That's it for now. 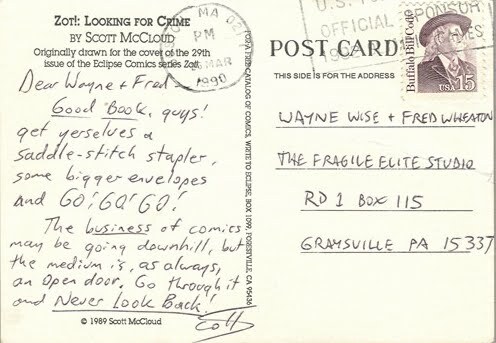 There are a couple of Dave Sim letters I need to scan.